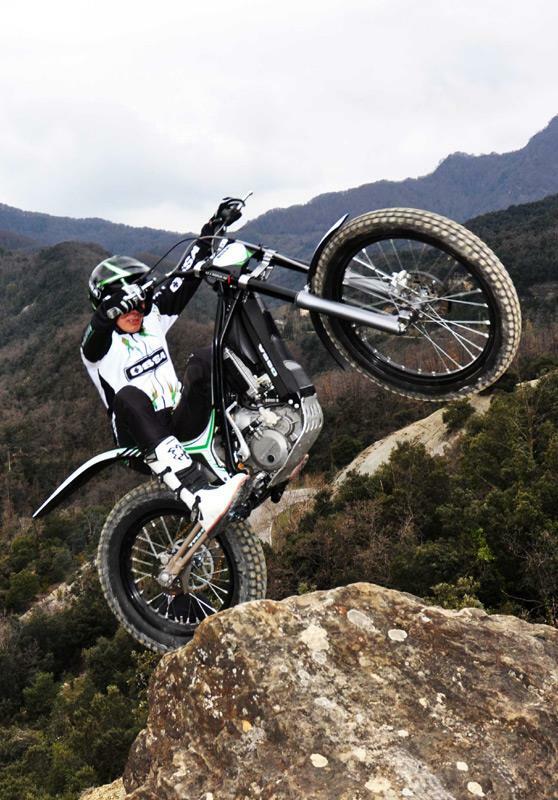 Relaunched Spanish trials manufacturer Ossa, is on the verge of giving demonstrations of its first new machine for 30 years. The historic marque, which sprang to fame mostly for its range of meaty and robust trials bikes ridden by the likes of Brit Mick Andrews in the 1970s, will be showing its new TR280i, in a demonstration by former world championship trials rider Marc Colomer, who helped develop the machine. The bike boasts an assortment of radical technologies, such as a rearwards canted cylinder and is due to go into production later this year. The original Ossa concern was founded in 1924, although didn’t start making motorcycles until 1940. In the ‘60s and ‘70s, its green and white bikes became revered as one of the great Spanish trials machines, along with Bultaco and Montesa. However, despite a merger with Bultaco in 1979 the Ossa factory closed down in 1982. The new Ossa concern is headed by CEO Joan Gurt and is based in Girona. Ready to roll for Butlins? A video I made of the new Ossa TR180i trials bike in action.